This activity book brings together stylish design, more than 150 fluorescent stickers, and lots and lots of fascinating facts about the world around us. 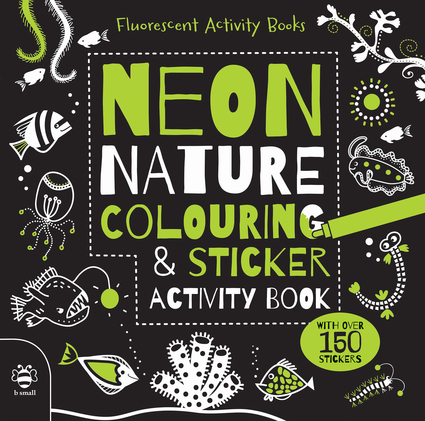 Children are free to create the most neon-tastic visions of nature by coloring in the white images on black background using highlighters or bright pens, and use the neon stickers included to add fluorescent flashes. Spreads of such creatures as fireflies, cephalopods, and glow-in-the-dark trees fold out into 19-inch spreads for massive coloring fun. Sam Hutchinson runs b small publishing along with his colleague Catherine Bruzzone. Vicky Barker is an illustrator whose books include Paper Toys: Action Heroes and Paper Toys: Superstars.